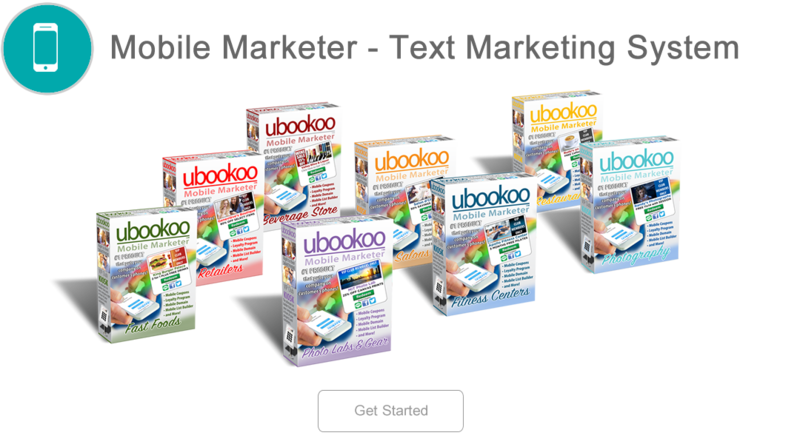 Suite Of Mobile Text Marketing Tools. All In One Place. 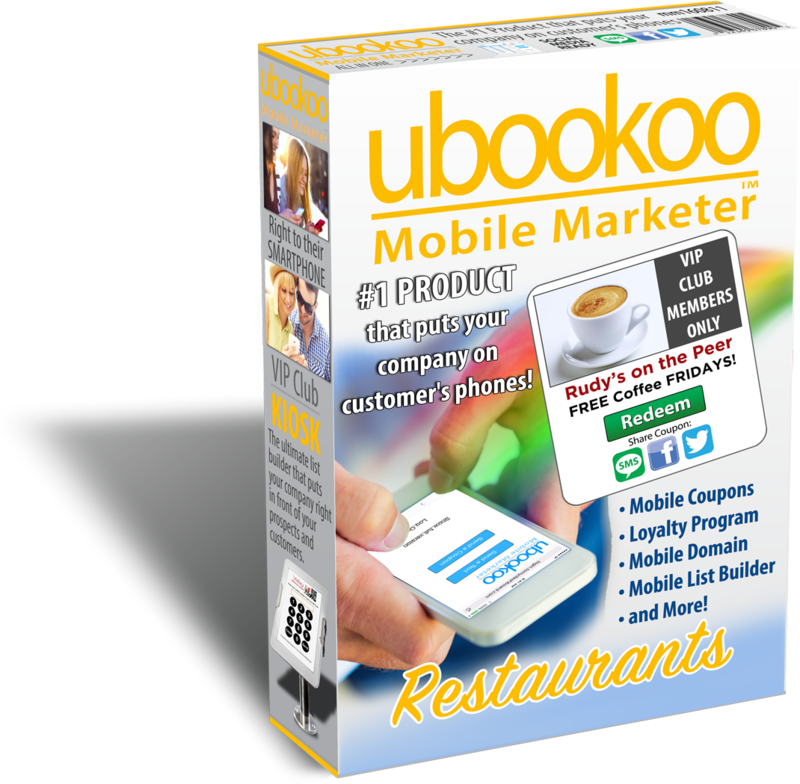 You'll have full access to a suite of 20+ mobile marketing tools to create all kinds of promotions and messages for your business. Your powerful mobile list builder automatically captures your customers contact information and adds it to your company contact list. Next, offers and messages are delivered to your customers smart phones over a period of time. All on Auto Pilot! You can also integrate loyalty programs, Birthday Clubs, mobile contests, mobile coupons, unlimited mobile pages, surveys, ask questions, apply QR codes and more! Reserve Your Company Keyword. Get Opt-Ins From Anywhere. Customers can opt-in with their phone from anywhere and join your mobile list. It's easy. All they do is text your unique mobile keyword from their smart phone. Just another way to build a bigger list and send offers and messages. Mobile Marketer. Included With Membership. 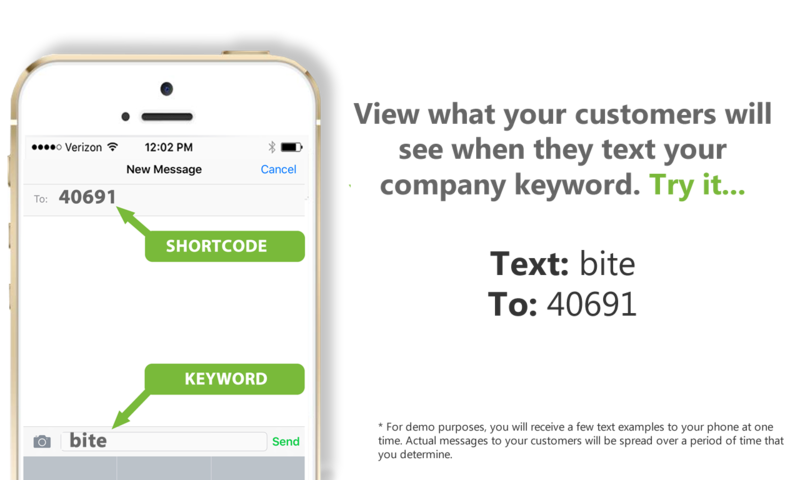 Your prospects and customers can quickly join your company list by texting your company keyword with your choice of two shortcodes. Your keyword is unique to your brand. Your membership includes a powerful mobile plus list builder that supports unlimited contact lists. You can add mobile sub-lists that can each have their own keyword. Create unlimited lists of phone numbers, emails, zip codes, birthdates and much more. In fact you can create personailzed data fields to collect information unique to your company. Create your company text message or promotion and then send instantly to a single list, selected lists, or all your contact lists within just minutes. Stop requiring your customers to print and clip your website offers. Customers can enter their phone number at your site and your offer is sent instantly to their phone. Send Mobile Smart Pages to your customers keeping them updated on your company activity, along with call-to-actions to send them straight to your brand. The mobile kiosk is a turbo lead builder for your brand. Grab names. phone numbers, emails and birthdates. Capture opt-ins in your business or while your on the run! With this innovative feature, send out updates, notifications, and special offers that individuals can instantly reply to directly from their mobile phones. No charge for incoming messages. Busy and can't find find time to be in front of your desktop? 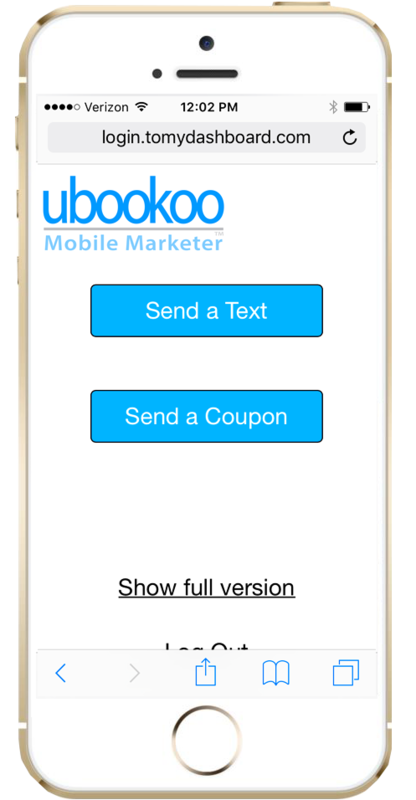 Save time and send mobile text messages and mobile coupons from your mobile device from anywhere. Customers love birthday wishes. Easily create a customer birthday club that will send a message to your customers automatically every year including a Gift Coupon! Use our polling feature to receive valuable feedback from your customers. Getting feedback with texting will result in huge responses. We integrate your announcements, alerts and offers with your Facebook and Twitter account to maximize your company exposure and responses. 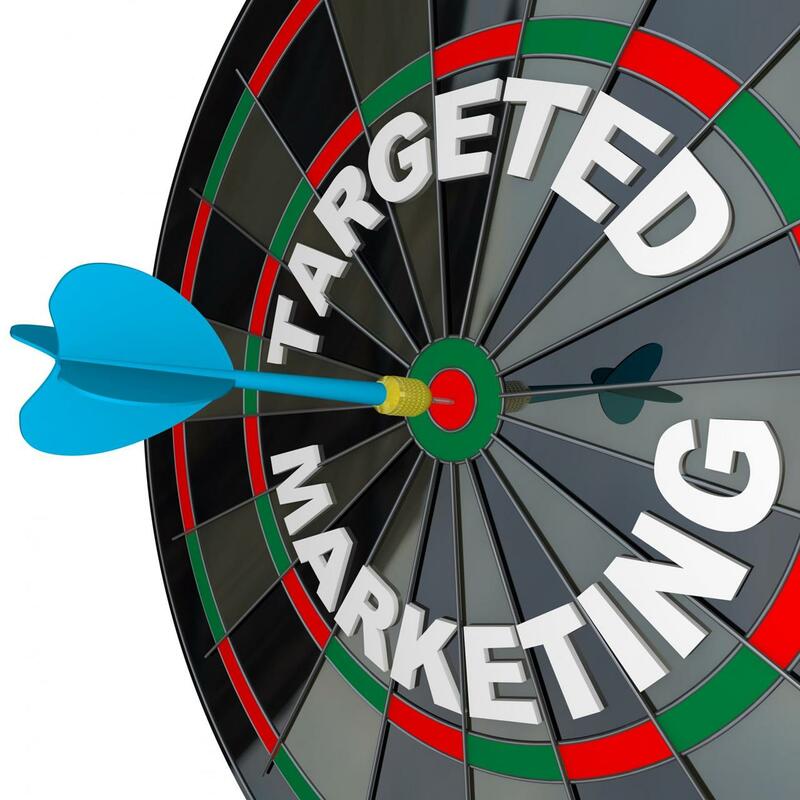 Put your promotions on auto pilot with the auto responder feature. Customers will receive follow up messages delivered at specific times that you establish. Use our MMS feature to send company images directly to your customer's smart phone. Your image is deliverd to your customer opened and ready to view. Send full PDF documents directly to your customer's smart phone. This feature is a great way to send your restaurant menu's or product lists! Use or MMS feature to send company videos directly to your customer's smart phone. Your company videos are delivered to your customers phone, ready to watch! Send an audio message to your customers with a company announcement, offer or alert. Audio message are a nice touch that customers love. With our text to win feature, business owners will be able to capture their audience by running an SMS sweepstakes program of their choosing. Each client will receive an SMS reminder prior to their upcoming appointment and be able to choose from options such as confirm, miss, or behind schedule. With the loyalty program feature, create virtual punch cards for their customers which is a useful and effective rewards tool for their customer acquisition and turnaround. Engage your customers and their friends and family with a text scavenger hunt. Perfect and fun program for Real Estate, Restaurants and Retail Businesses. Need to know what your customers are thinking? It's easy to ask them a question to help plan your customer programs. You'll get a quick response! Want to capture contact information when a prospect is considering a vehicle? Use keywords to send vehicle data straight to a leads phone. Want to capture buyer's information when they are considering a property? Use keywords to send property data straight to a prospects phone. Integrate your contact information with the top email campaign programs such as Mail Chimp, Get Response, Constant Contact and Infusionsoft. Create and print QR codes that contain phone numbers, an SMS message, V-card data or simple text. Scan a QR code with a mobile phone. Collect opt-ins from your website, blog or Facebook page using the web form tool. Customers simply enter their phone number and you collect their contact information.